Doi Inthanon National Park is a place well worth a visit when you are here. 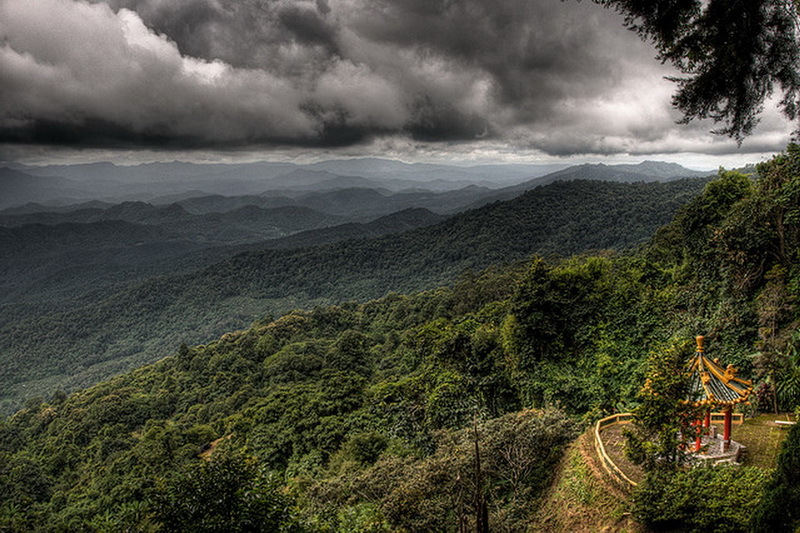 Doi Inthanon National Park covers an area of 482 km² in Chiang Mai province north of Thailand. 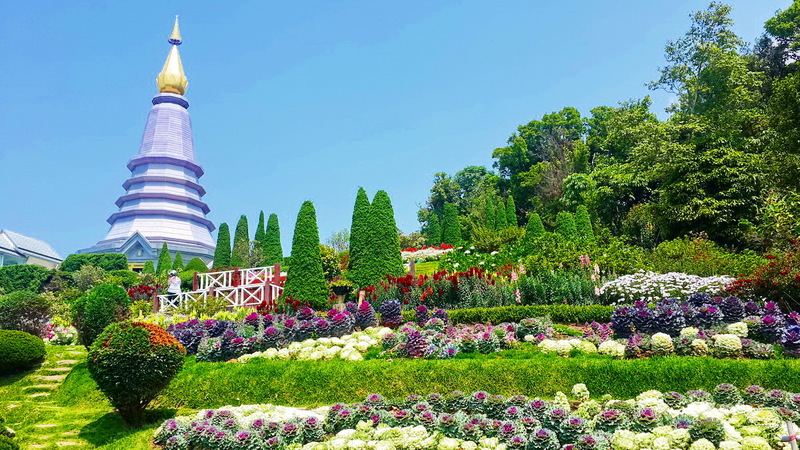 The park is part of the Himalayan mountain range, elevation ranges between 800 and 2565 meters with the highest peak at Doi Inthanon which is the highest mountain in Thailand. Due to the high altitude, the park has high humidity and cold weather all year round. The average daily temperatures are normally around 10-12 °C. The peak was formerly known as Doi Luang (“big mountain”) and Doi Ang Ka (“crow’s pond top”). The peak got its current name after King Inthawichayanon, one of the last kings of Chiang Mai, expressed his wish that his remnants be put to rest within the park grounds (which was still called Doi Luang until then). The king is known to have shown special interest in preserving and managing the forests. Thus, the peak was renamed to honor his demise and his remains were buried under the summit stupa. 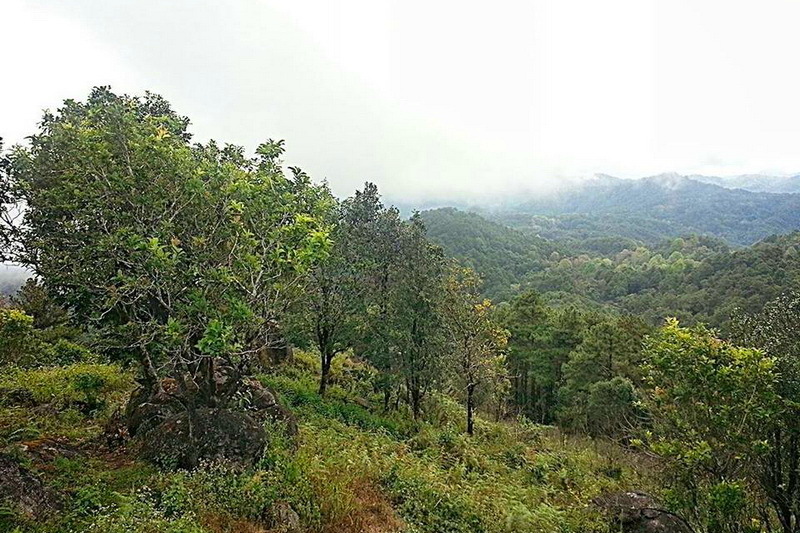 The high elevation of Doi Inthanon has blessed the land with a rich biodiversity in terms of both flora and fauna. Come December to February, you can see the only red rhododendron in Thailand around the summit area. The forests around the park are a combination of Mixed Deciduous, Moist Evergreen, and Pine Forest. Go further up and you will notice how the landscape changes from deciduous forests to a larger tropical evergreen. Flowers around the park include Vanda Orchids and Phycastylis. Although larger animals aren’t a common sight anymore, you can spot Asiatic Black bears, Chinese flying Squirrels, Macaques, Barking Deer, Gibbons, and Leaf Monkeys and various (reportedly, around 30 different kinds) species of bats. Doi Inthanon, with a recorded total of 362 species of birds (and increasing), is one of the best treats to bird watchers. March to May is when the big migration happens with some birds mating even until June. Ask the tourist center for detailed bird list. 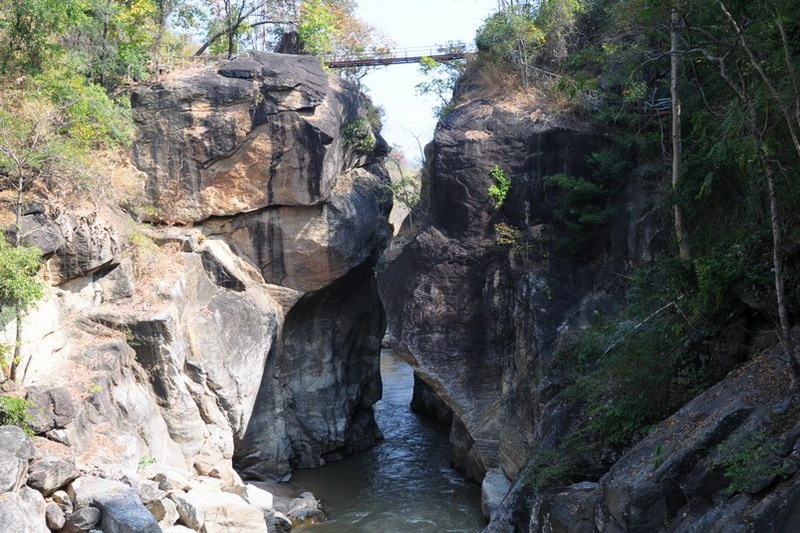 Visiting Inthanon National park is possible throughout the year. The best period for viewing waterfalls is May-Nov. The best period for viewing wild flowers is Dec-Feb. The best period for ornithologists is Nov-Mar. The drive to the summit offers some fine views, On your visit to the summit stupa containing the remains of King Inthawidhayanon, be sure to read the English translation on the back of the marble plaque nearby. Photographing any part of the radar station is forbidden, but visitors may take pictures freely of any other subject. 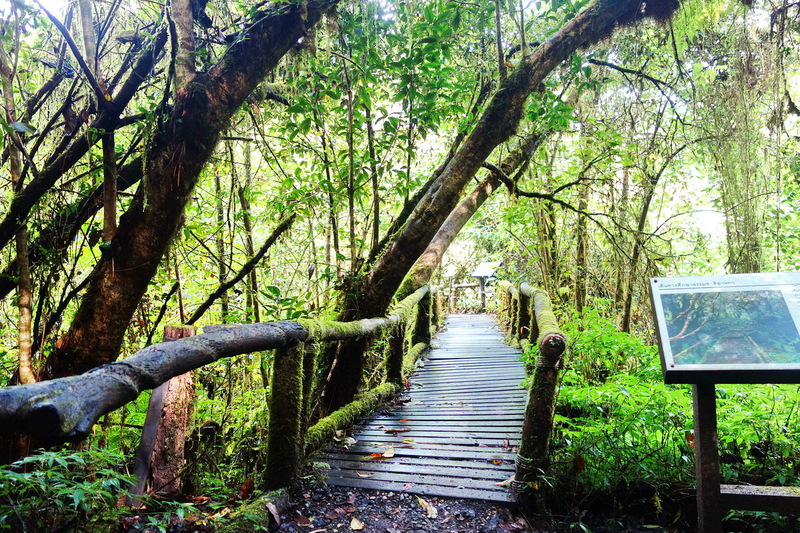 On the main road and opposite the summit Ranger Station is a sign in Thai marking a short, self-guided nature trail which descends to a sphagnum bog in a small karst depression The bog area. which displays the red blossomed Rhododendron delavayi, comes nearest to a true montane forest formation and is a good location for bird-watching. If you continue around the bog and down a short distance, you will reach a memorial shrine marking the site of a helicopter crash which occurred in the mid-seventies and killed the first superintendent of this park. Just a few meters below the summit car park you will find the start to the Ang Ka natrure trail this 360m long elevated boarded walkway is well worth the effort as it will take you into the un spoilt forest and you will really be able to get a feel for the flora which exits at this altitude. Inthanon Bird Watching Information Centre (Uncle Daeng’s Shop) is located at Km. 31. This is a bird information exchange centre among bird watchers, nature students and the general public. 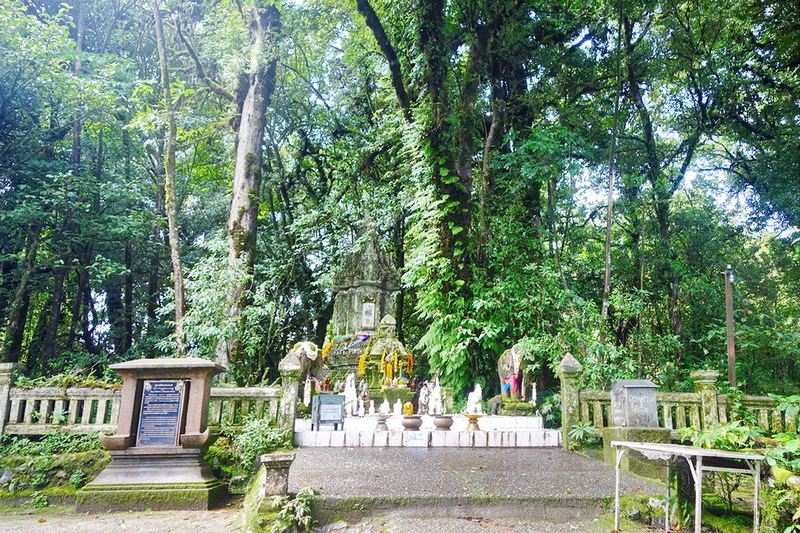 The information details the habitat and food of birds and animals living on Doi Inthanon. The aim is to pass on this knowledge to the next generation. It also provides the Doi Inthanon Bird watching Diary, bird sketches by various bird watching experts, bird watching trails, bird pictures, and slides. Kiew Mae Pan starts from Km. 42. 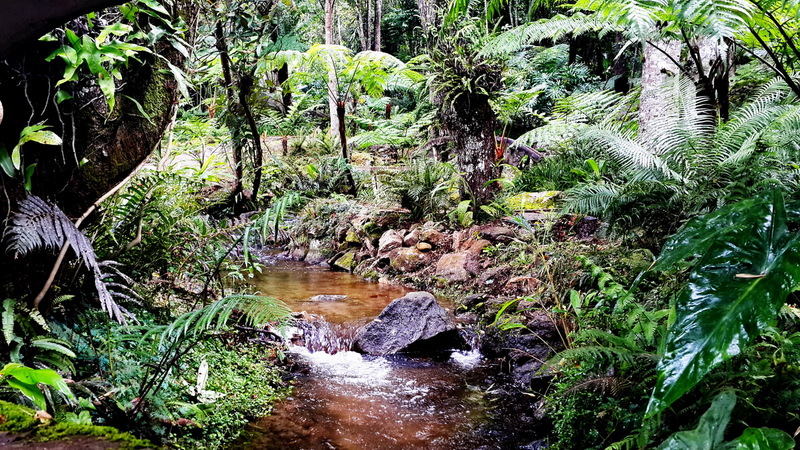 This short trail, winding through pristine forest for about 2.5 kilometres, a 3-hour walk, allows the hiker to experience the natural beauty of the forest at first hand. The Rhododendrons, commonly found in the Himalayas, are found along the trail and they are in full bloom during December-February. 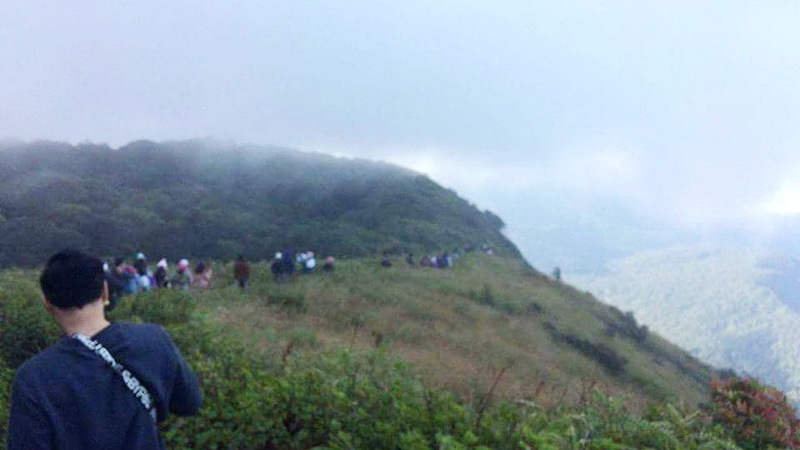 Trekking on Kiew Mae Pan route should seek permission from the park headquarters at Km. 31 for safety reasons. A group of not more than 15 people is recommended. Food consumption is not allowed while trekking. This nature trail is closed for reforestation from June 1 to October 30 annually. Doi Inthanon Royal Project (In Khun Klang Village close to park HQ). The project was initiated in 1979 to help the hill tribes to cultivate cash crops other than opium and train them on modern agricultural practices to grow temperate zone plants. 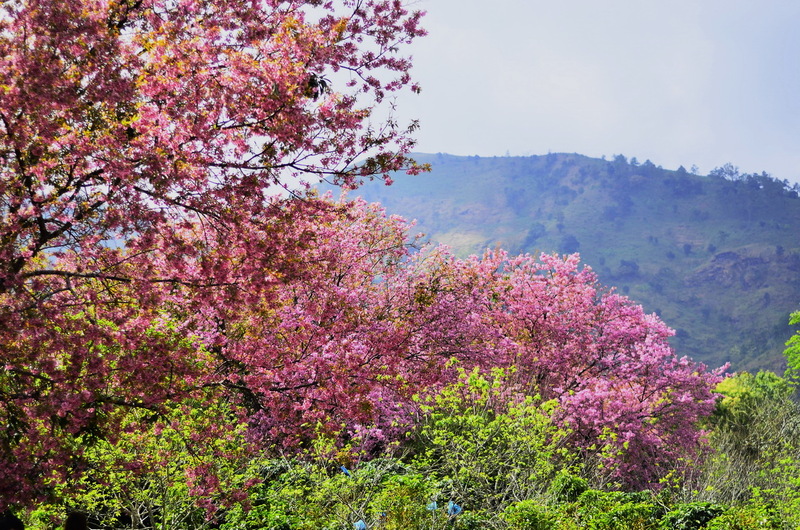 Flower fields, a plant breeding research lab, and hill tribe (Hmong) flower plantations are open to visitors. 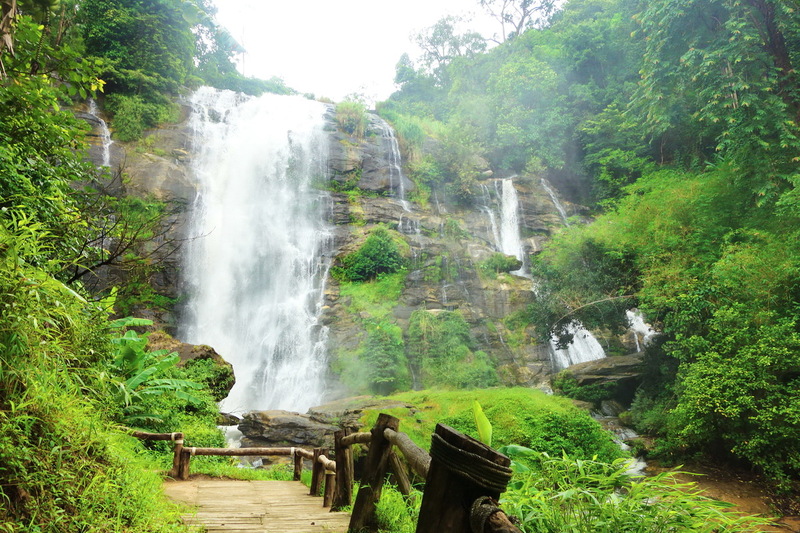 Doi Inthanon national park has some of the most gorgeous cascades in Thailand. The first waterfall to catch your attention will most likely be the Mae Klang Waterfall which is the first gate to the park. With water flowing all year round, it is a popular spot for locals to picnic, swim, or just relax during their days off. 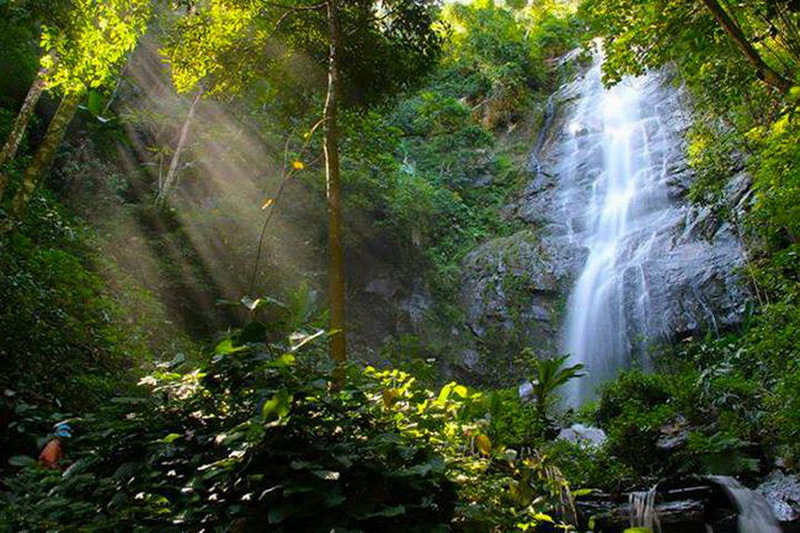 The next in line is the Mae Ya Waterfall, which is popular for being one of the biggest waterfalls in Chiang Mai. Though situated with the national park, the waterfalls have a separate entrance. Tip: if you have been careful enough to retain your entrance ticket, you get in for free (note: same day ticket only). 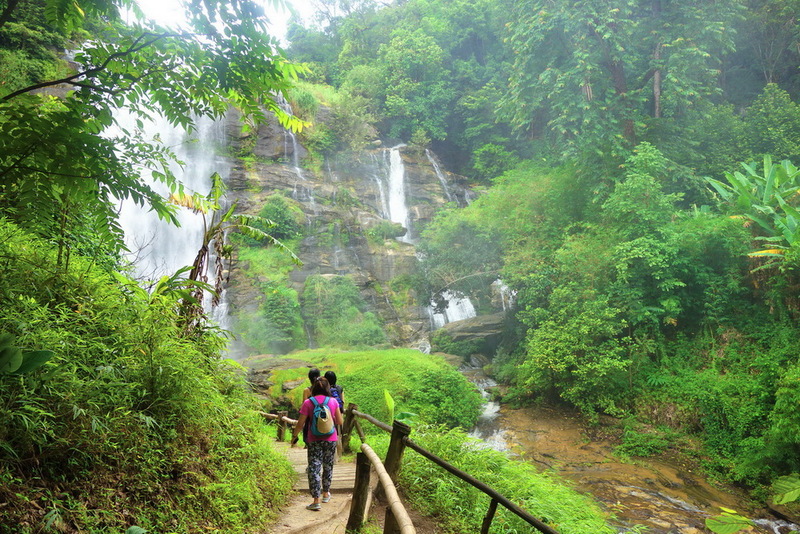 Next in line is the Siriphum Waterfalls, which is located by the foot of the mountain and stands out specifically because of its height, which towers above some of the surrounding trees. 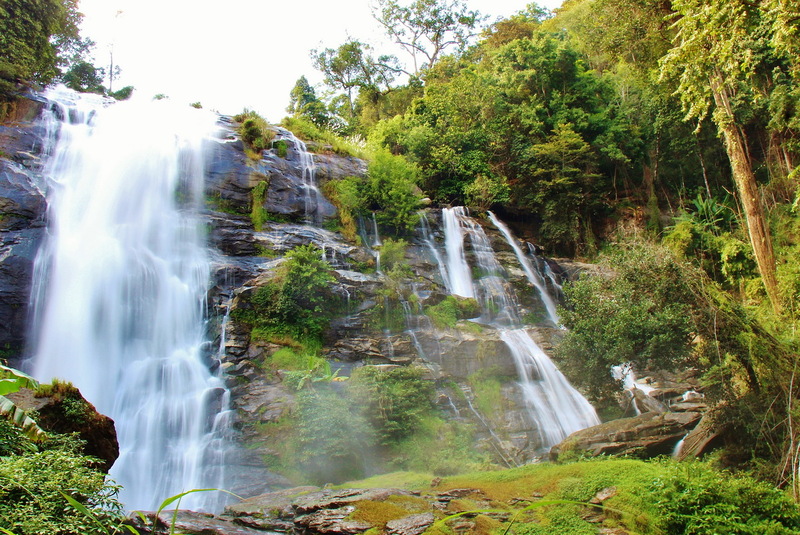 Other notable waterfalls in the vicinity include Sirithan and Wachirathan Waterfalls. Tham Bori Chinda is a large cave located near Namtok Mae Klang, featuring dramatic stalactite and stalagmite formations. If you are up for a bit of a hike then check out Brichinda Cave, a beautiful limestone cave which is open to the sky. The cave is located in the middle of a deciduous forest, about an hour’s walk from the road. Doi Inthanon National Park is 58 kilometres west of Chiang Mai. Use highway No. 108 to Chom Thong, then turn right into Highway No. 1009 and continue for 48 kilometres. 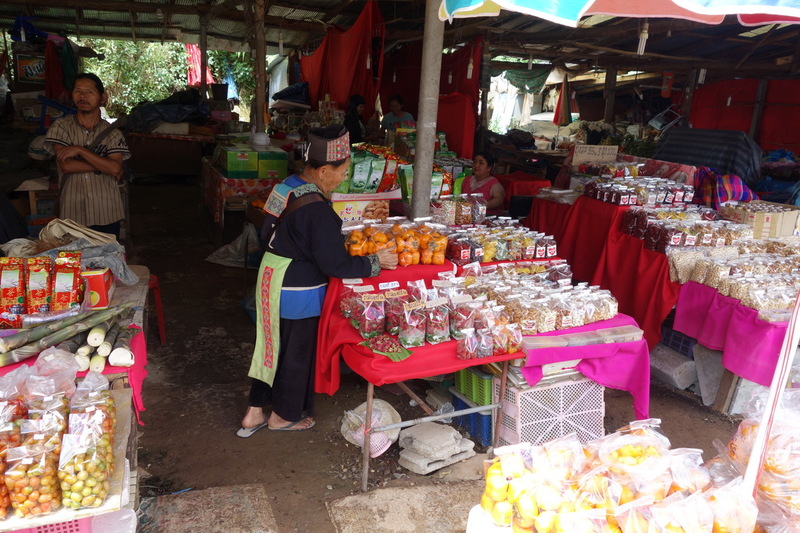 Doi Inthanon can also be reached by a local truck (Song Thaeo) from Phra That Chom Thong or Mae Klang Waterfall. The Song Thaeo runs to Doi Inthanon National Park Office (Km. 31) and neighbouring villages. The entrance fee is 300 THB for foreigners (children 150 THB) and 50 THB for local tourists (children 20 THB).